The perfect Mother's Day gift. Jo's mother, Babe, liked to drink, dance, and stay up very late. When the husband she adored went on sales calls, she waited for him in the parking lot, embroidering pillowcases. Jo grew up thinking that the last thing she wanted was to be like her mother. Then it dawned on her that her own happiness was derived in large part from lessons Babe had taught her. Her mother might have had tomato aspic and stewed rhubarb in her fridge, while Jo had organic kale and almond milk in hers, but in more important ways they were much closer in spirit than Jo had once thought. 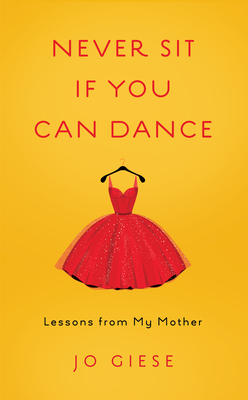 At a turbulent time in America, Never Sit If You Can Dance offers uplifting lessons in old-fashioned civility that will ring true with mothers, daughters, and their families. Told with lighthearted good humor, it's a charming tale of the way things used to be--and probably still should be.